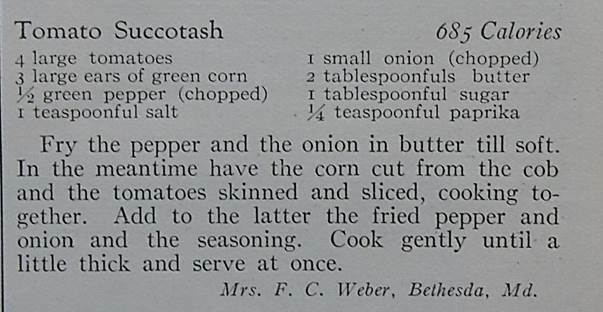 I always thought Succotash was a mixture of corn and lima beans, so I was surprised to see a recipe in a hundred-year-old magazine for Tomato Succotash. 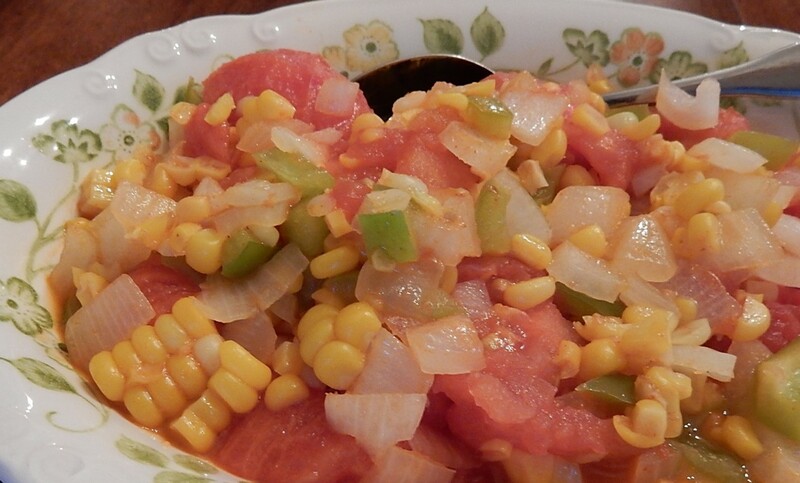 The recipe called for seasonal vegetables – tomatoes, corn, green pepper, and onions – so, of course, I had to give it a try. The medley of vegetables was delightful. This recipe is a keeper. 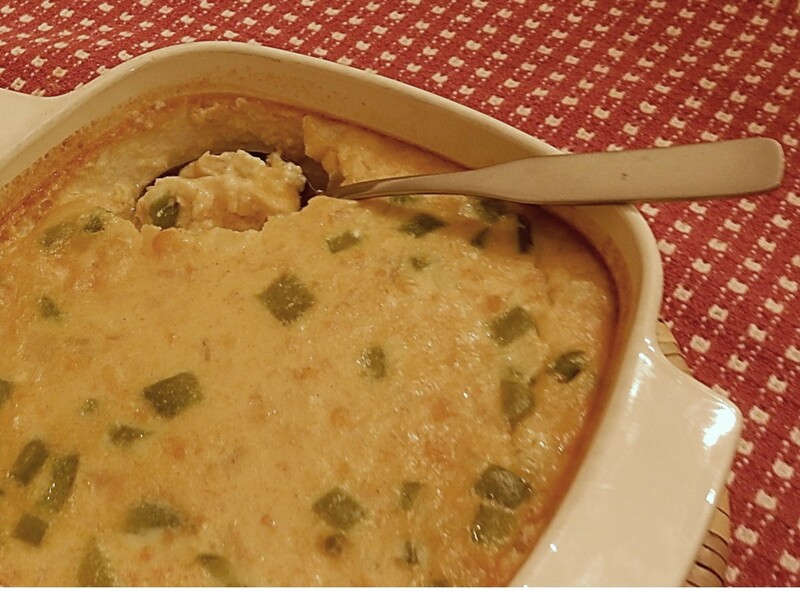 And, I know that it will become part of my repertoire of recipes that I regularly make. 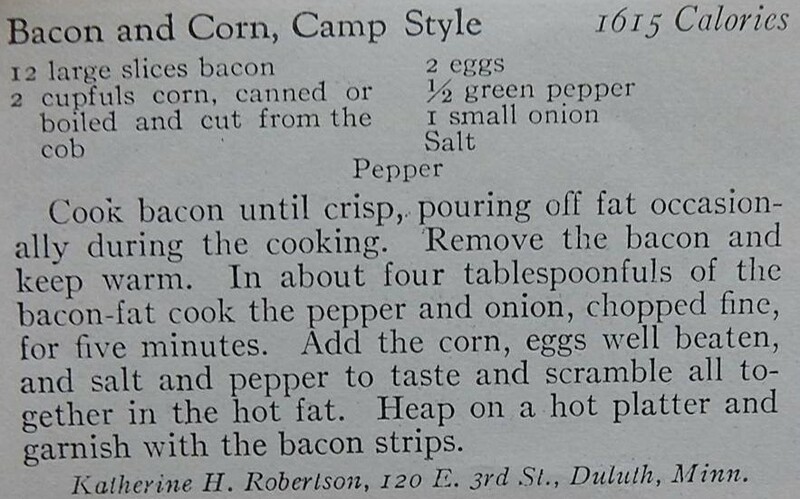 I’m not sure what is meant by “green corn” in the recipe. 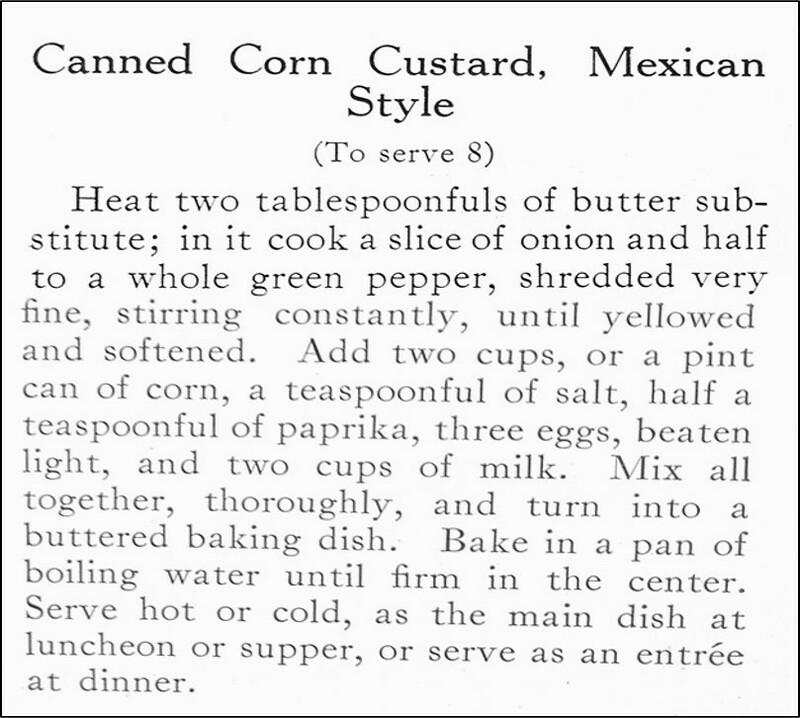 When I made the recipe, I took it to mean tender (perhaps slightly immature) corn. Peel and slice the tomatoes, set aside. (I put the whole tomatoes in boiling water for about 30 seconds, then removed from the hot water and put briefly in cold water. The skins are then easy to slip off the tomatoes). Cut the corn from the cob. Set aside. 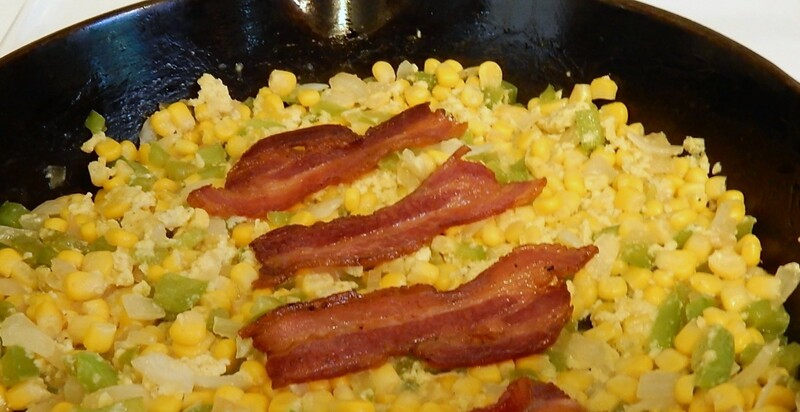 Put the butter in a large skillet; melt using medium heat. Add green pepper and onion; saute until tender. Stir in the sliced tomatoes, corn, salt, sugar, and paprika. 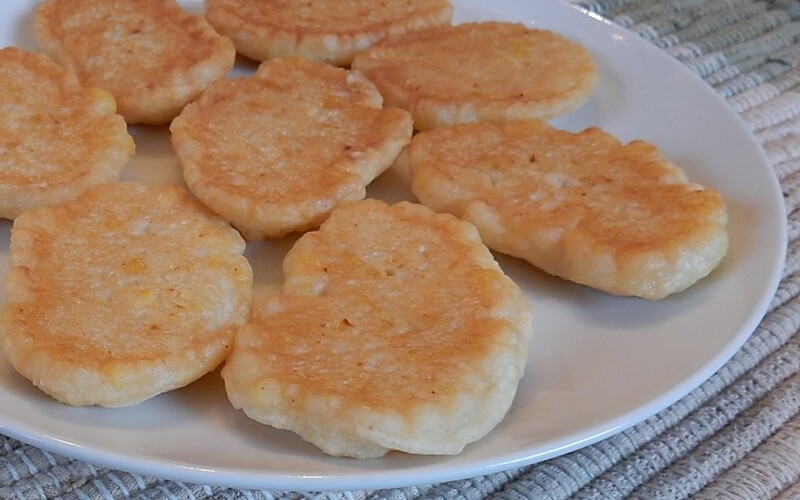 Cook until the mixture is hot and bubbly. Remove from heat and serve.